On the 5th day of June’2004, when the Calcutta sun was setting, I was about to leave my birth place in search of a better career. With my backpack I was walking in the oldest railway station of India – Howrah Junction to board the Rajdhani Express to New Delhi. Howrah Station is a living example of the spirit of the city; where millions of people stroll from dawn till dusk. The terminal station is located on the west bank of the Hooghly River, and linked to Calcutta by Howrah Bridge. The Howrah station, the Hooghly River and the Howrah Bridge are the opening lines of the poem called Calcutta. It’s easy to fall in love with her. This writer may have left the city, eleven years ago, but (until date) he carries the city in his heart. You never leave Calcutta, do you? I boarded the train and waved goodbye to Calcutta; the place where I learnt to walk my first step as a child, and since then I have been walking, tirelessly. Calcutta has a motherly embrace, and for a 23-year-old boy, it’s almost impossible to think of surviving at an unknown place, away from family and friends. Its been more than 11 years I have been away from home, but Calcutta has never been away from me. Such is its warmth and culture. During my college days when I used to travel by the local train, there used to be debates in every compartment of the train; like – whether Gavaskar was the best batsman India ever had or was it Sourav Ganguly or Sachin Tendulkar? When you think of football, Calcutta is a football crazy city, there was a never a day when I didn’t hear arguments on which is a better playing football club – Mohun Bagan or East Bengal? Fans used to throw stones at each other or used to fight in the stadium when these two clubs used to clash against each other. The passion for their favourite club was beyond right or wrong. Not only that, people used to debate on who will be the next FIFA World Cup champion – Brazil or Argentina. The city used to come to a stand-still during the World Cups. Posters of Zidane, Maradona, Roberto Carlos, Ronaldo, Ronaldinho and above all Pelé, used to be seen across the city – in every street, in every market and in every corner of the city. We in Calcutta are stupendously crazy about football. The ones who weren’t interested in football or cricket used to play cards during travelling. The local trains in Calcutta depict the culture of the masses of the city. Hawkers selling lemon candies, peanuts and many more eatables, the studious ones or in better terms, the bookworms reading novels during that noisy train journey, some reading Anandabazar Patrika (the famous Bengali newspaper that comes in almost every Bengali house in the city), students debating about the political scenario of Calcutta and their future, and the Baul’s singing Baul Gaan (Bengali Folk) in some compartments. The best part about travelling in train was, one could never get bored of it. There was, life, in travelling by train in Calcutta. Roads of Calcutta are full of private and mini buses – their conductors shouting Sealdah, Moulali, Burrabazar, Esplanade, Park Street, Howrah, etc. There are government buses too; and their identity is fearless driving. The other things that run on the roads of Calcutta are taxis – yellow coloured Ambassadors – its sofa like seats gave a royal feeling, although only the rich and the well-offs could afford them. And then are the auto-rickshaws that run on a sharing basis. Now I know you would have taken an auto rickshaw in Delhi or Bombay, in which only three people are allowed to sit, but, in Calcutta, a shared auto will have a maximum of six people, an average of five people and a minimum of four people. An auto-rickshaw ride is cheap there, let’s just conclude to that. 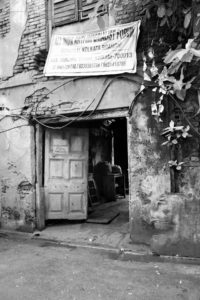 For the ones who had to travel from one narrow street to another – for them were the hand rickshaws, pulled by a poor man with his own hands. This sight was always painful to my eyes, whenever I used to see someone pulling one of these. The best mode of transport, at least for me, were the trams; they gave you a sense of steadiness and the sweet sound of the bell when the tram stopped used to give one goose bumps. Esplanade and Park Street are two of the busiest places in town for shopping and eating. While Esplanade offered road-side shopping, Park Street offered one of the finest dining places in the town, and till today it does; Flurys, Mocambo (if you have watched Kahaani, when Vidya Balan goes to a restaurant to meet a lady for lunch, this was the place), Trincas are some of the best restaurants to eat in. While we are talking about food, one cannot think of Calcutta without its street food without which Calcutta won’t be Calcutta – eggrolls, puchka (gol-gappas), aloo-kabli (a spicy chaat made up of potatoes), mughlai paratha (a dish made up of egg and mutton served with aloo curry), fish fry, aloo chop, piyaji, mutton and chicken cutlet, singhara, dim-er devil (a chop made up of egg), chowmein, jhalmuri are some of the most loved eatables when it comes to street food. There is one more thing without which the city can’t survive – fish. Calcutta is famous for its fish markets; which are crowded with people at any hour of the day, buying Hilsa/Ilish, Bhetki, Rohu, Pomfret, Singi – to name a few and then the sea food items like prawns, crabs and lobsters. As we spoke about fine dining, street food, and fish, we are about to end our meal, but then, no meal in Calcutta is complete without sweets. You cannot think of Calcutta without Rosogolla, Mishti Doi, Sandesh and Chena Pais. The city is famous for its sweets and with pride I can say the world loves it. After such a lovely meal, its time for a coffee, and when it comes to coffee, what better place than the famous Coffee House in College Street, which is located opposite the Presidency College. This place is always flooded with Presidency College students, alumni members and also students of other colleges nearby. You name any topic, and you will find some or the other table is talking about that very topic, be it politics, sports, movies, art and literature. I don’t how many films would have been scripted here or how many movements would have been initiated from this very place. If you are thinking of taking a walk after finishing your coffee, there is no better place than the famous Victoria Memorial where you would also see tons of international tourists visiting every day. And if you are thinking to spend your evening in a quiet and serene place, then you should take a taxi from Victoria Memorial to Dakshineswar Kali Temple. You can sit by the Ganges and let the cold breeze soothe your unnerving nerves. When I was in college, I used to wake up to the songs of Gurudeb Rabi Thakur, something that I do today as well. Even today when I am in Calcutta and go out for a walk in the morning, I hear verses of Rabindranath Tagore in the majority of the houses. I must say, the city wakes up to poetry, music and literature, and thus its called the cultural capital of India. 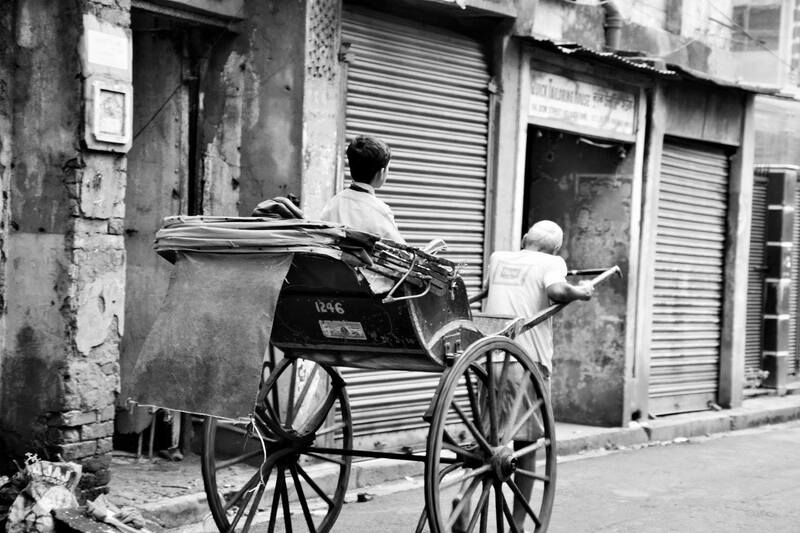 I have been away from Calcutta for more than a decade now, but the distance is only physical. Calcutta has always been in my heart and soul; and this is what has helped me survive the physical distance. If ever you plan a visit to Calcutta aka ‘The City of Joy’, don’t complain if you fall in love with her.